Attention! The soup is sour, really sour! 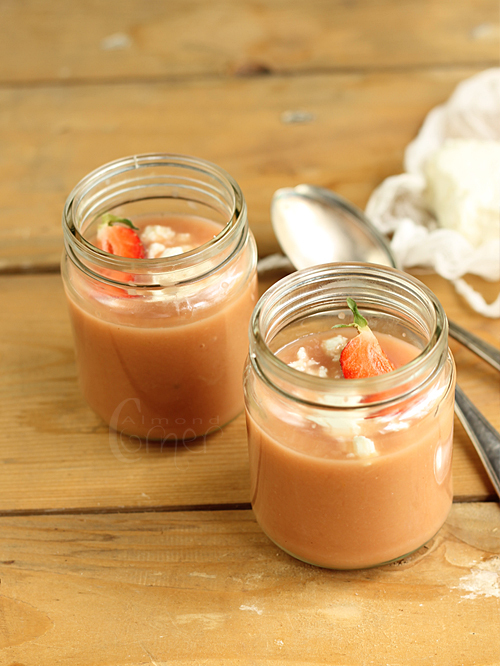 I didn't want to make a sweet soup or even to combine the rhubarb with strawberries. I rather had the idea of a spicy and sour soup that is served cold. I wouldn't say that it is going to be my favourite, but it is indeed refreshing, now we only need real warm weather to enjoy it. If you want it less harsh, then add some heavy cream or even more sugar. Sautee chopped shallot for a frew minutes in butter. 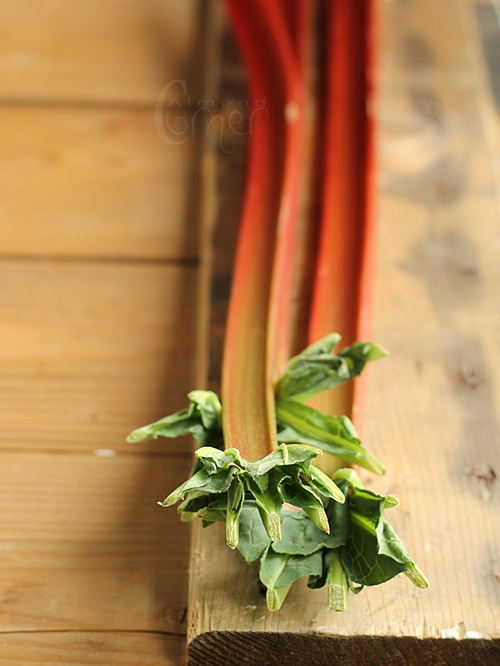 Add sliced rhubarb, sugar, grated ginger and the rest of the spices. Pour freshly pressed orange juice and stock over it and cook for about 10 minutes. Remove spices and puree. Season with salt, pepper, some ground cinnamon and nutmeg. In case you add some cream, then cook it together with it for about 5-7 minutes. Serve warm or cold with fresh goat's or sheep's milk cheese. Marvelous and so original! I've never tried that. I love cold fruit soup. In fact I love soup period LOL. :)) Gonna check your event!